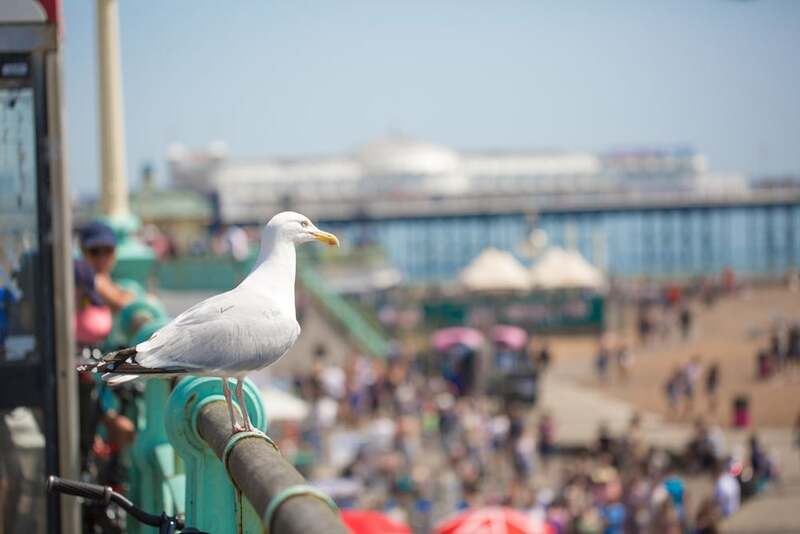 Brighton is one of those special places with a magic so unique it can cast a spell on your heart, mind and spirit and capture you in an instant. 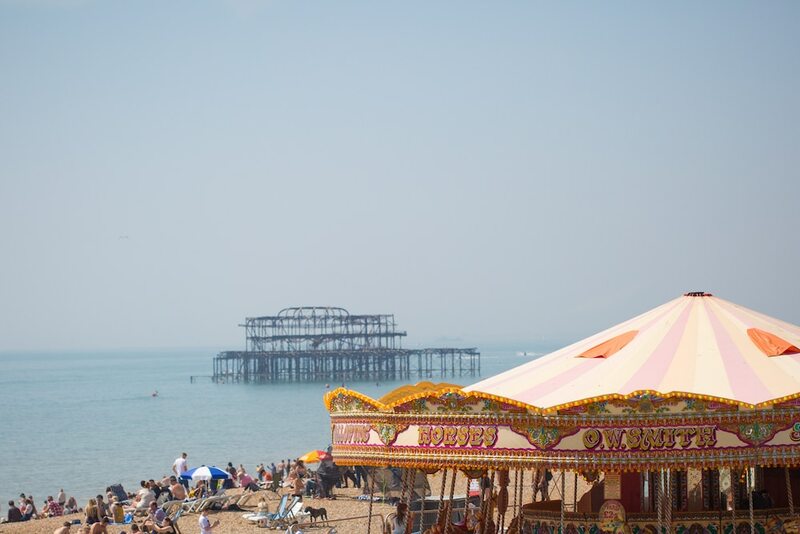 There’s a lot more to the city than just sun, sea and pebbles, so here are 6 reasons why everyone should visit Brighton at least once. 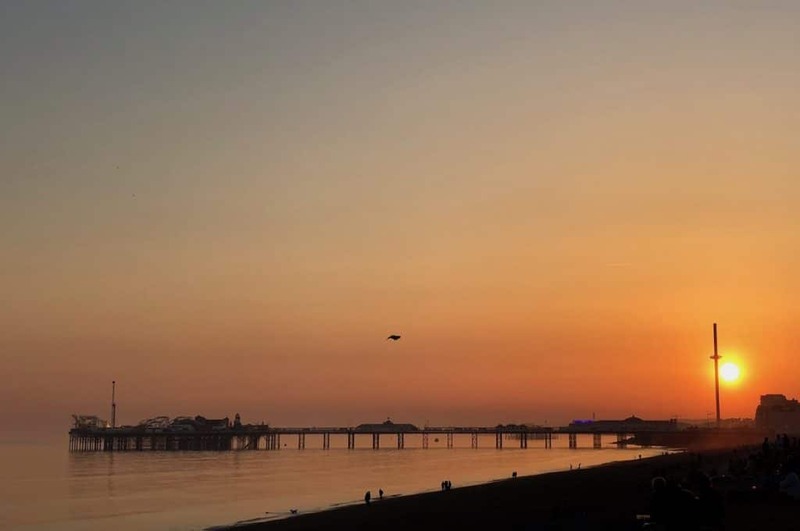 Sunset from Kemptown looking west to the Brighton Pier. 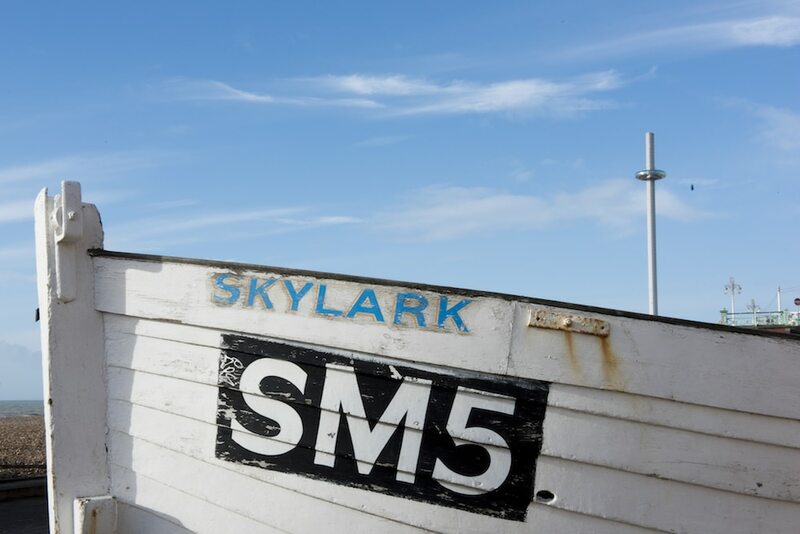 Emblazoned on myriad postcards and photographed by every visitor and resident alike, few images say “British seaside town” more than a pier – and Brighton is blessed with not just one but two of these beach beauties. 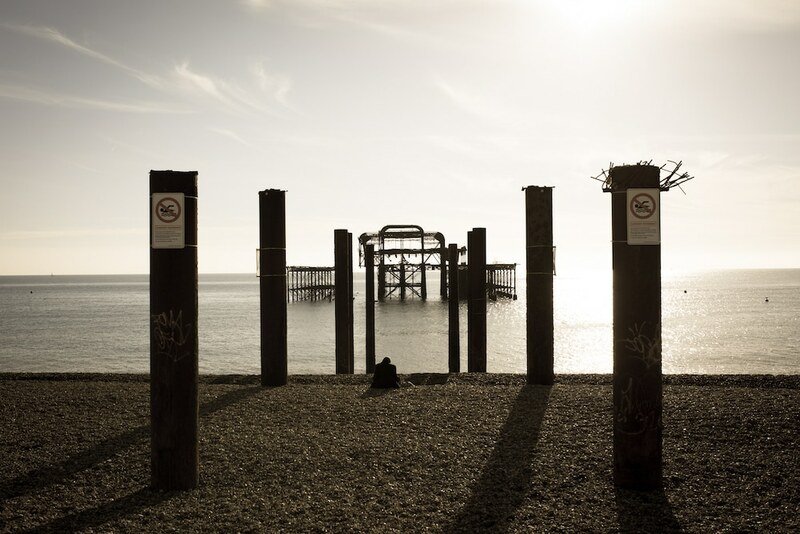 Time is ticking on the historical West Pier as she makes her graceful slow descent into the sea, so take time out to revel in her beauty with a sundowner at New Club, Oh So Social or the West Beach Bar & Kitchen. 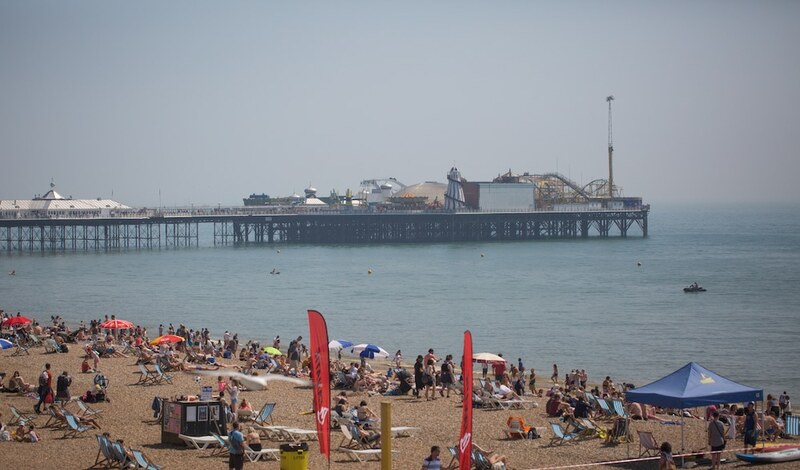 By way of contrast, the Palace Pier has fish and chips, ice-creams, rides and games galore. 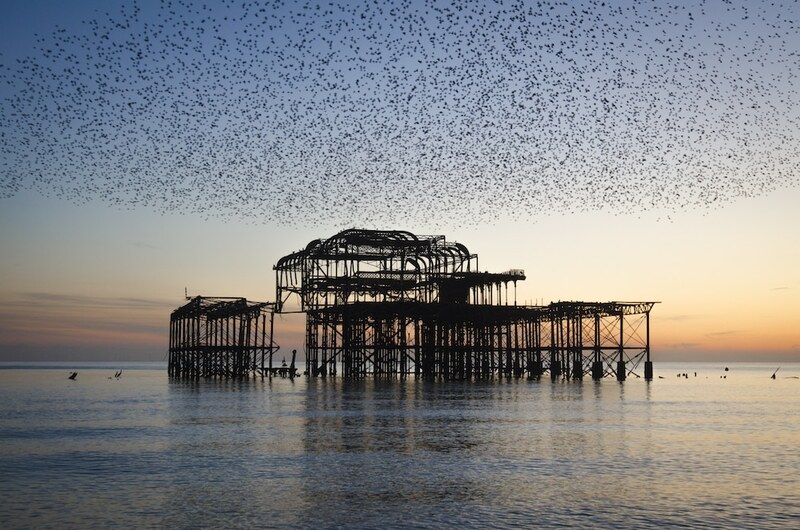 During Winter months, don’t miss the mesmerising sunset starling murmuration, which is best watched from the beach or on the pier itself. When people refer to “the lanes” they don’t always realise that’s not just one amorphous area but two – with different names and distinct personalities, separated by North Street. 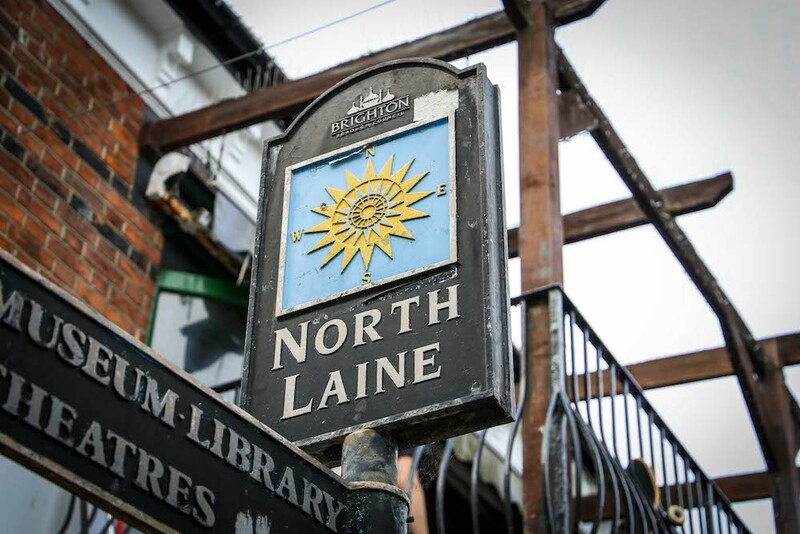 There’s ‘North Laine’ (written with an i, no ‘The’ and as a singular noun) which, as the name suggests, is to the north, and then to the south and closer to the sea The Lanes (plural, no i), which are not called the South Lanes as many believe. 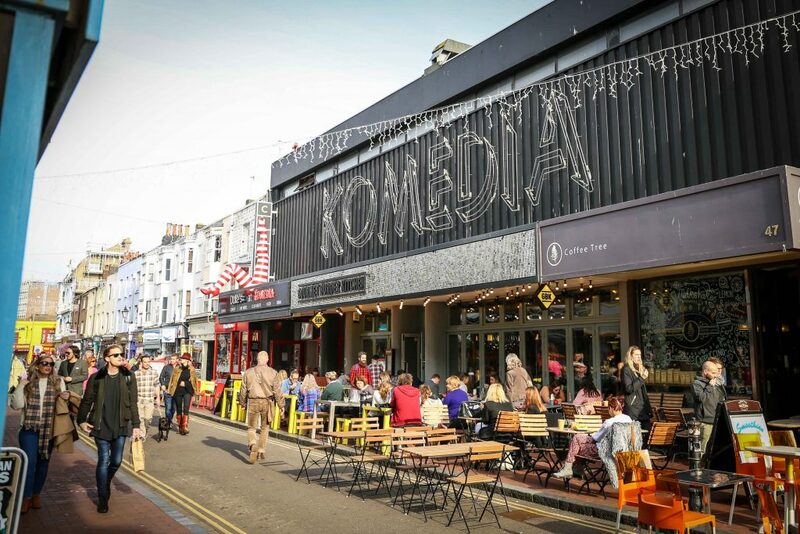 Viewed together, as they so often are, they form the beating heart of quirky, arty central Brighton, with their own magnetic pulse, energy and pull to all who pass through them. 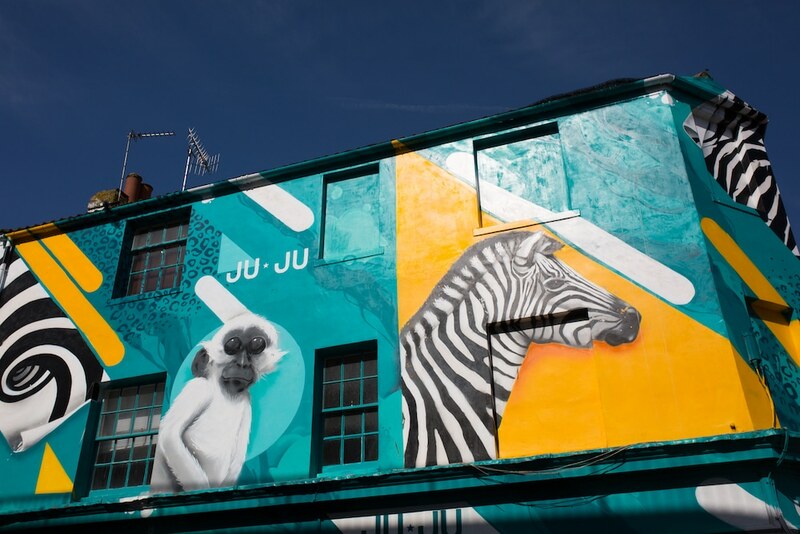 North Laine feels more spacious, with numerous independent shops, restaurants and bars, and more of an arty feel with amazing graffiti, street performers and the iconic Brighton Dome as well as the Royal Pavilion and gardens. 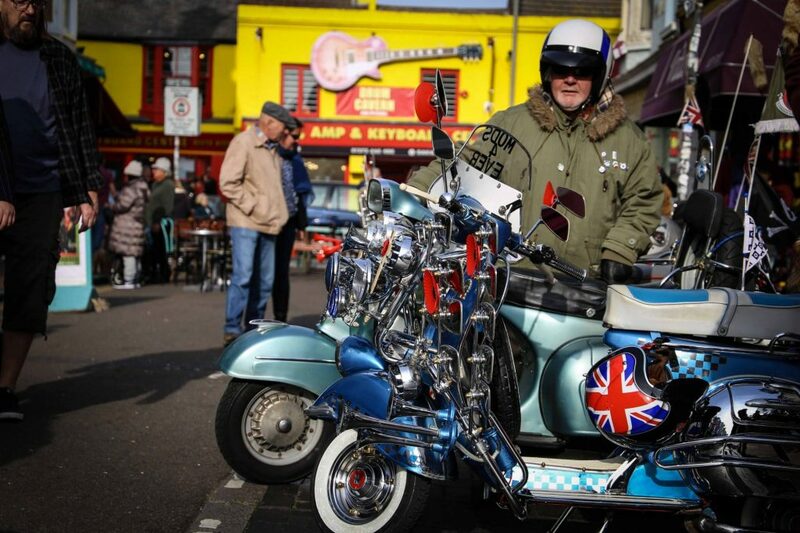 Just down from the station, the North Laine is where most people start when they visit Brighton. 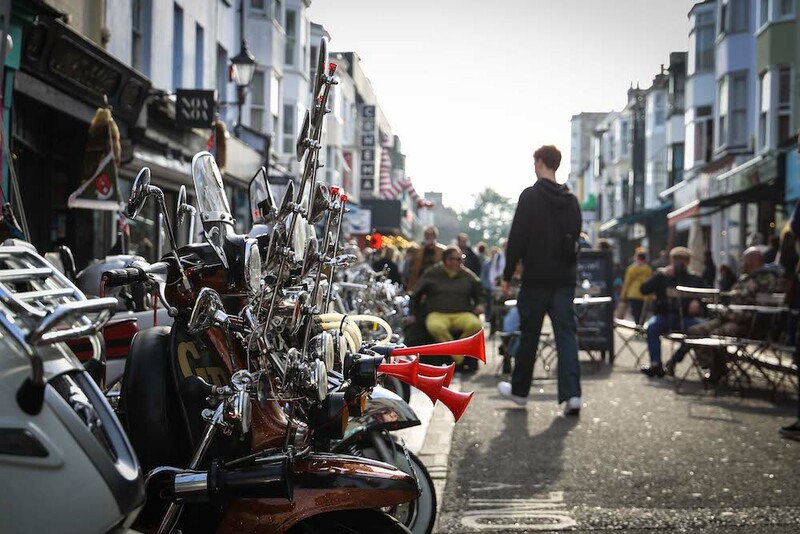 The Lanes, meanwhile, were once a sleepy fishing village area called Brighthelmstone and are now a warren of narrow cobbled streets dotted with jewellery and antique shops, cafes, restaurants and designer boutiques. 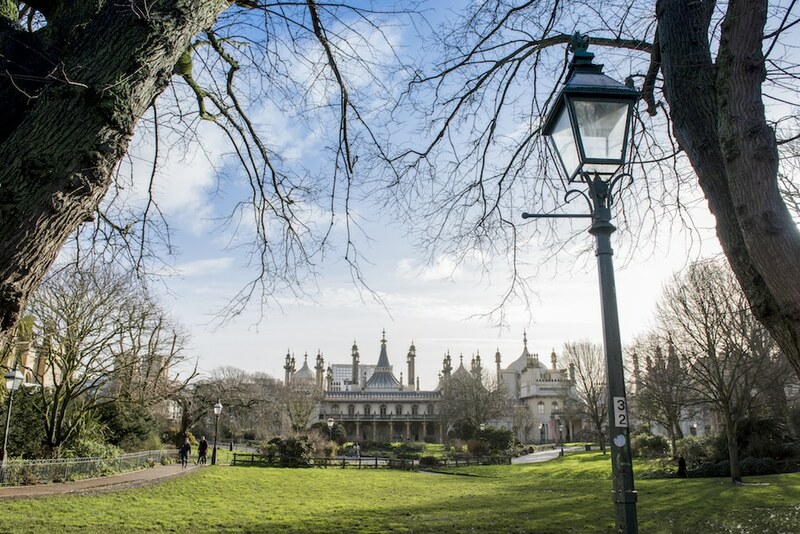 There’s nowhere quite like the Royal Pavilion, so if you don’t manage to fully explore the inside and lush surrounding gardens when you first visit Brighton, make sure it’s on your return to-do list. Not only does it look incredible – otherworldly in its fantastical east-meets-west architectural blend – but it has a fascinating history. 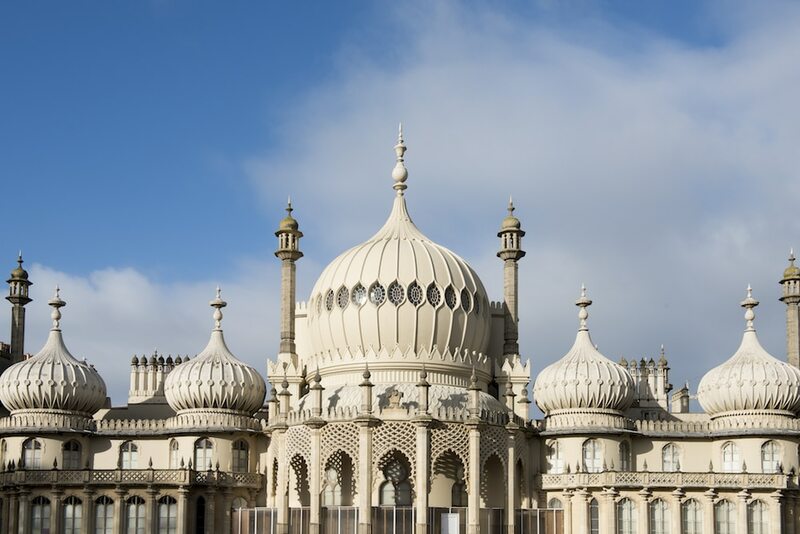 Looking at its opulent grandeur today, you’d never think it started out as a small, fairly modest lodging place for George, Prince of Wales, who’d visit Brighton in the 1780s while he was in his early twenties. George was quite a rambunctious type with a big passion for the arts, so he set about decorating his humble abode with lavish trinkets, then hired architect Henry Holland to upscale it into a villa, which became known as the Marine Pavilion. In 1808 a glass and lead domed roof was added, plus a stable complex for 62 horses. In 1811 George’s father became so ill he was deemed unsuitable to fully reign, so George was sworn in as Prince Regent and his modest Marine Pavilion became unfit for the purposes of the large social gatherings he loved so much, so in 1815 he hired architect John Nash to upscale the building even further, into the oriental-styled wonderland we see today. 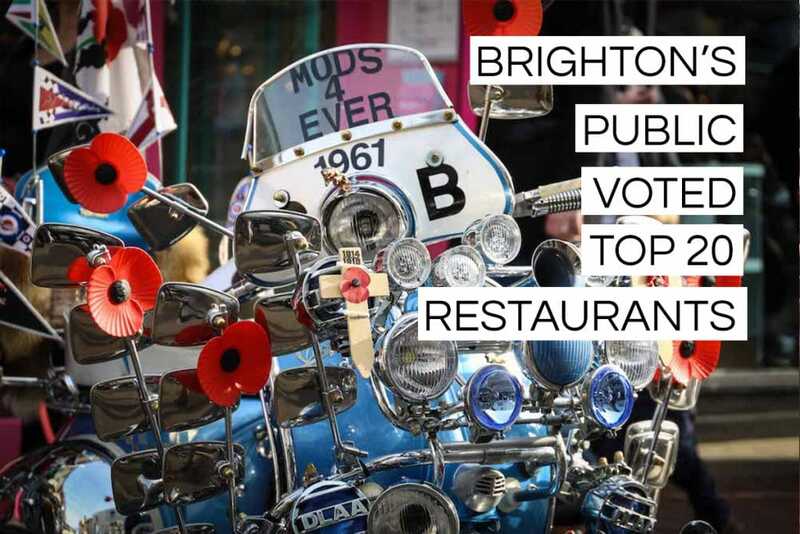 Brighton’s pride and glory has changed a lot in recent years. 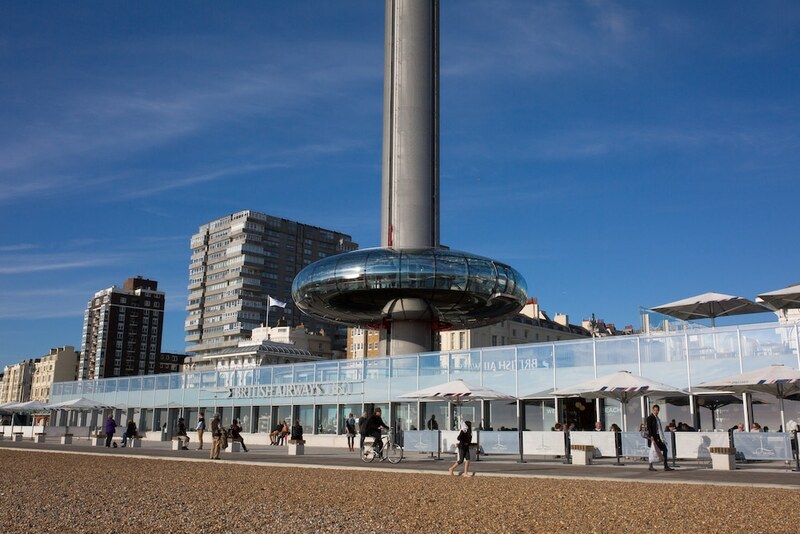 In 2014 local councillors approved a £540 million development plan to reinvigorate the seafront, so much work has been done to improve what had once become quite rundown and neglected. Now, the seafront is worthy of the crowds of residents and visitors who flock there whatever the weather. The expanding Brighton Marina in the east is a wonderful, nautical haven with shops, restaurants and bars where you can gaze at the boats bobbing on the water with a sundowner. You have both piers (see above) plus also the Artist’s Quarter, which runs in between the piers west from the Palace Pier, giving a flavour of Brighton’s colourful, arty character. 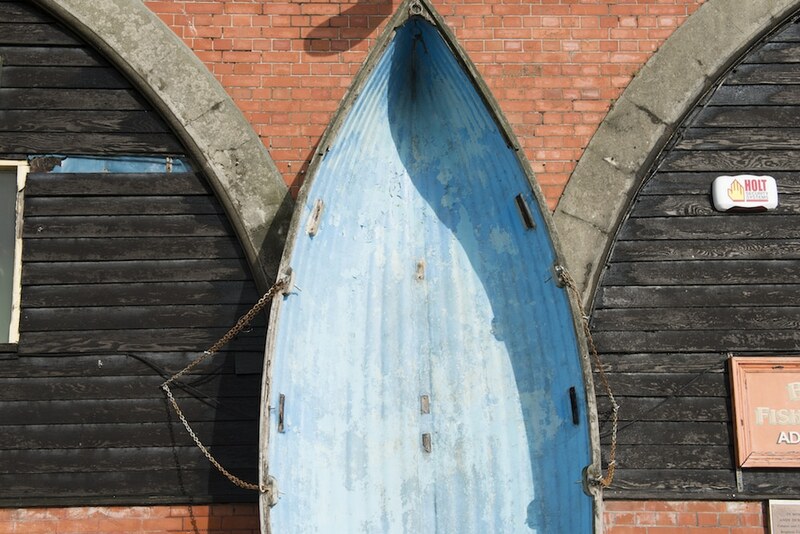 The Fishing Museum and display boats bring history back to life. 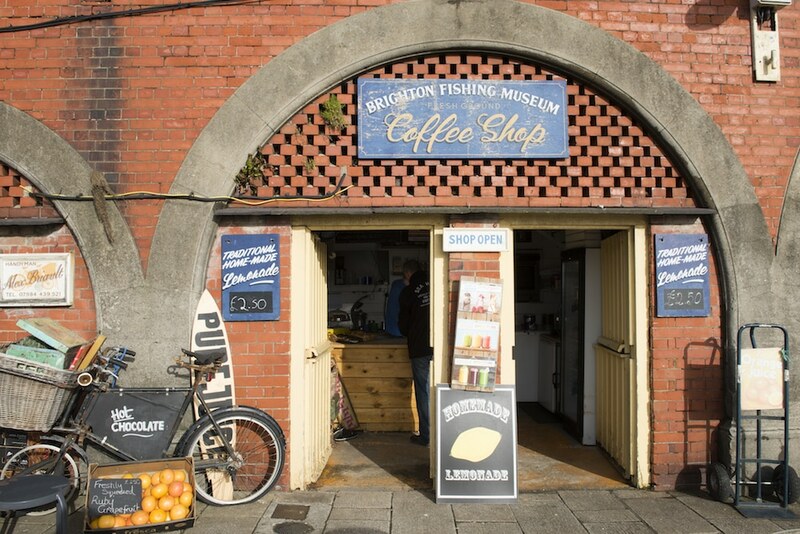 And ever popular in that spot is Jack and Linda Mills Traditional Fish Smokers, run by former fisherman Jack Mills and his wife Linda, where you can pop into the shop for a crab or hot mackerel sandwich and see their very own wooden smokehouse just opposite. There are also water sports to try, numerous great restaurants, bars and clubs, such as Lucky Beach, Alfresco, The Copper Clam, Riddle and Finns on the Beach and Murmur. 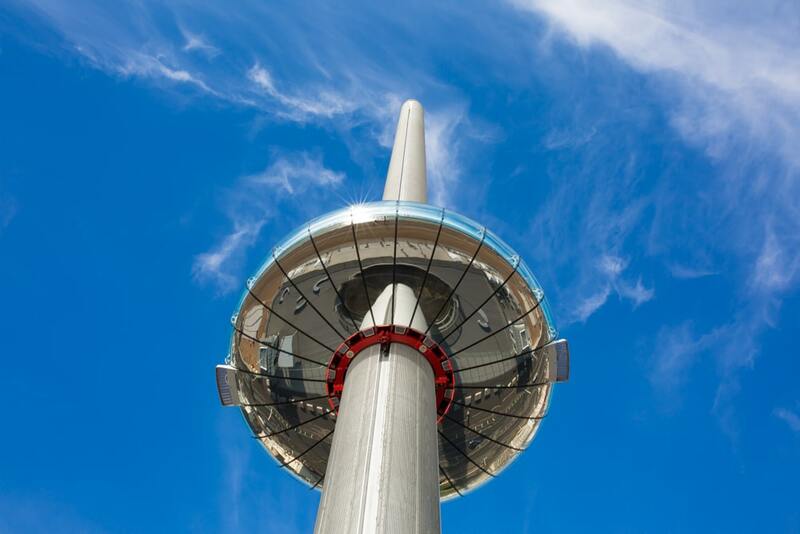 Plus we now have the astonishing British Airways i360 which, standing at 162m, is the world’s tallest observation tower. 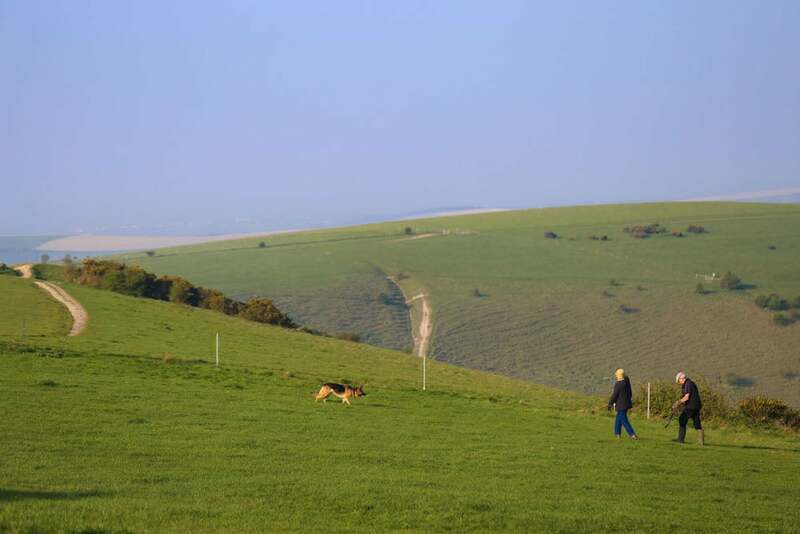 Not strictly in Brighton but unmissable as a mention for its proximity and beauty is the South Downs National Park, which wraps itself around Brighton like a big green hug from nature. 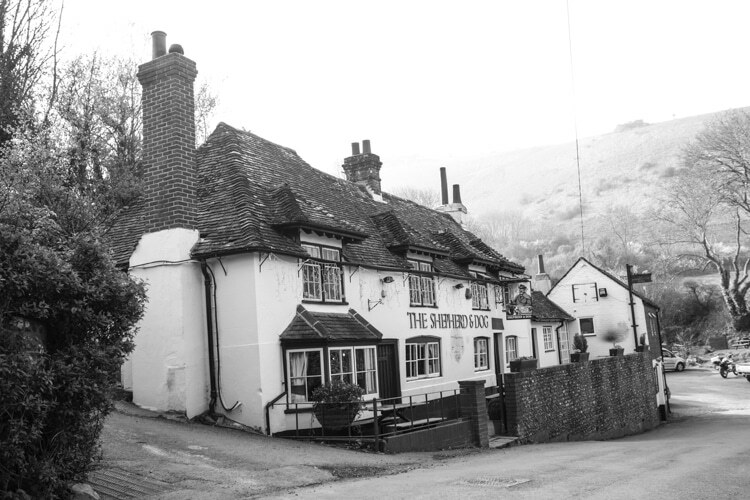 If you you visit Brighton for more than a day and have a bit of time to venture out of the city for a few hours, give your lungs and body some rejuvenating fresh air and exercise with a walk on the Downs, you could maybe visit the award winning Shepherd and Dog in Fulking? Nearly 1011 square miles in size, there are plenty of options of where to go. Devil’s Dyke, for example, offers fantastic views and is just five miles north of Brighton. 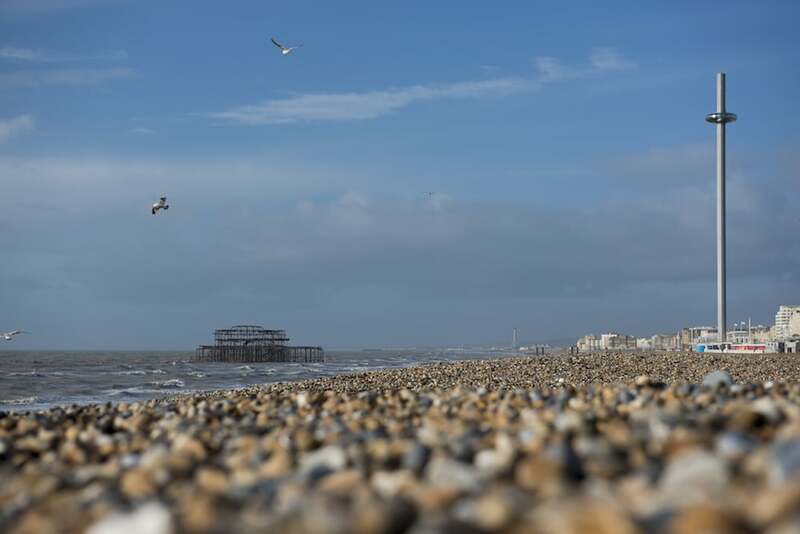 Brighton has been known for its restorative curative waters ever since the 18th century, when the physician Richard Russell recommended that people bathe in – and drink – the sea water for optimal health. Nowadays, lots of people love to take a refreshing dip in the water but tend to choose their drinks and dining options from the city’s plentiful restaurants and bars. 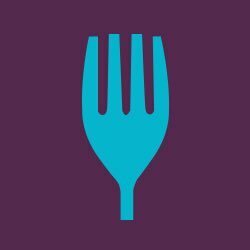 The food scene here is dynamic, and this site is obviously the exact place for you to read about all the possible options at your feet. 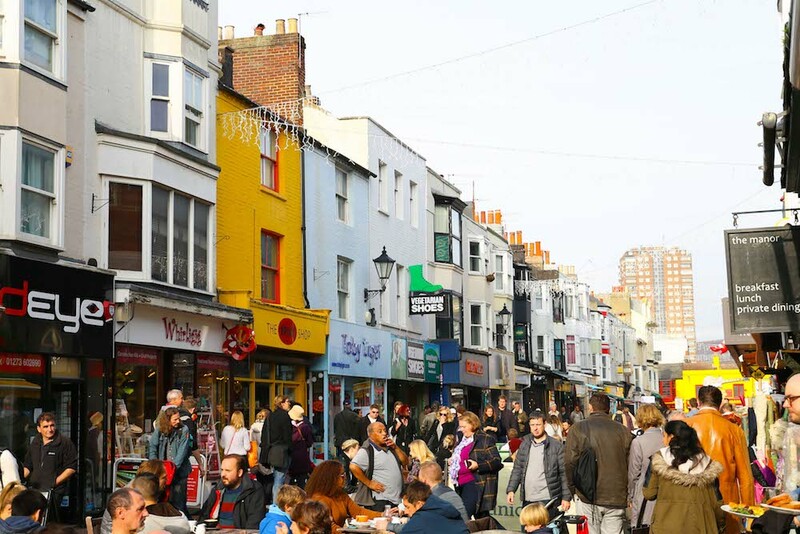 There are so many culinary adventures to enjoy when you visit Brighton, so pick your mood or your preferred cuisine or drink and go on a food and beverage tour.